Corey Hausman graduated from Staples in June. This month, he died in a tragic accident in Colorado. Corey and his older brothers, Lucas and Casey, grew up in Westport, and were excellent athletes. Corey ran cross country and outdoor track for 4 years at Staples High School. He was a 2-year varsity skier too. 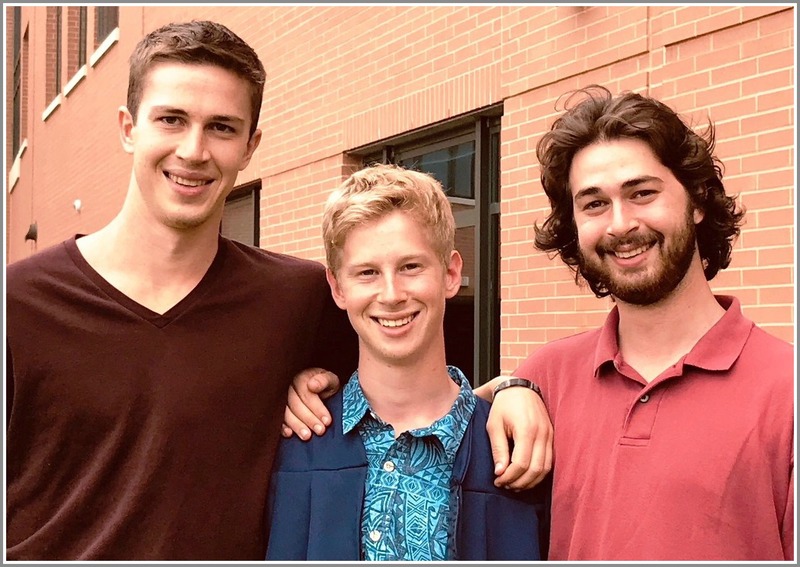 Corey Hausman was a 2018 graduate of Staples High School who had just started his 3rd week at University of Colorado-Boulder when suddenly he was physically taken from this Earth. A simple yet fatal accident occurred September 12 while he was riding his skateboard across campus to a friend’s house after class on a Tuesday afternoon. It is still too shocking and soon to comprehend this loss or answer the begging question: Why Corey? Those closest to him are focusing on the spontaneous joy that he brought to the world and that, as a freshman just beginning his most exciting journey, he had hit a personal high note. If Corey considered you a buddy, you were in for a treat. As the stories from brothers, friends, neighbors, teachers and Staples teammates bubble up, it is clear that Corey had a gift: making people laugh. His range of material was broad including hysterical impersonations, physical gyrations, facial expressions and classic sarcastic quips. His audiences included all ages and personalities. Whether it was a shy 3-year-old boy who struggled to make eye contact or the senior citizen having trouble opening a car door at Stop & Shop, Corey would find a way to cheer them up, and to get under people’s skin and produce a smile or laugh. Simple, yet so powerful; it was Corey’s way of giving a little joy to the world. Like many Staples students, Corey had excellent grades, scores and credentials enabling him to attend several formidable colleges. But once he heard from CU, all other admission letters remained unopened. He had found his home for the next 4 years; end of conversation. Far far away from the comforts of home, Corey was outside absorbing all that Boulder has to offer, jamming on his guitar with his roommate ‘til all hours of the morning, making new friends and impressing his professors with his proactive approach to his studies. All of this with the back drop of the Rocky Mountains still covered with snow at the tippy-tops. Corey was overjoyed with his new day-to-day routine and the anticipation of ski season when he could freestyle with an old teammate from Mt. Snow-Vermont. Corey beamed during the Facetime calls home to just “check in.” Without a doubt, he was the happiest person in the world. It is unbelievable to think that Corey’s story on Earth ended so abruptly. All of the lingering questions will never be answered. Especially, for his family and many close friends, when will the sadness and longing pain stop? Why? Because he was able to hit the high note at 18 years old. He was the happiest person on Earth, and he was able to bring his joy to others. Corey would want us to honor him by following in his footsteps — find personal happiness every day, and bring joy to the world by simply making others smile and laugh. This entry was posted in Education, People, Sports, Staples HS and tagged Corey Hausman, University of Colorado. Bookmark the permalink. Such shattering, heartbreaking news. . . There are simply No adequate words. I feel overcome with sorrow at this terrible news…sending deepest condolences to Joel, Nanette, Lucas and Casey. Heartbreaking. May Corey’s memory be a blessing and bring comfort to all who knew and loved him. So terribly sorry for his family’s loss. This tribute of Corey is filled with such pure love, and paints a picture of a beautiful, full of life, young man. I am sending my heartfelt condolences to you Nanette, Joel, Lucas and Casey. Thank you for sharing your hearts. It is clear that Corey touched all who knew him. Thank you to the Hausman family for sharing this beautiful tribute to Corey, and to Dan Woog for publishing it. We are friends and neighbors of the Hausmans, who are a delightful family. Sending love and wishes for peace and comfort to Nanette, Joel, Lucas and Casey. Nanette, our condolences to you and your family. Thank you so much for posting this beautiful tribute to Corey. My heart goes out to Nanette and her family. I remember Corey so clearly from Kings Highway Elementary every year showcasing his amazing break dancing talent at the annual KHS talent show. And I remember he and his family up at Mt. Snow during the years we went there with my son Rob and daughter Anna and the Phams, and all of the other Westport families who love skiing. Corey seemed to me to be a beautiful, independent and free spirit. How wonderful and perfect that he ended up in Boulder, CO. He was taken far too early and I can’t imagine the pain his family is feeling at this tremendous loss. Please know that Corey touched all of us in some way. All of you are in our prayers. I am so very sorry to hear about Corey. He was my student for the better part of two years, and I looked forward to seeing his smiling face and hearing his funny quips just about every day. Please know that he and his classmates are in my thoughts. My deepest sympathies to the Hausman Family. Sending much love to you Nanette, Joel and boys. So deeply sorry! Your Mount Snow family is sending love, hugs and prayers to all! Our heartfelt sympathies to your whole family. Sending you love, hugs and prayers. We will miss our precious Corey, our smiling next door neighbor. He lit up our life! Nanette, Joel, Lucas & Casey, we share your painful grief,. May God comfort us and our love for you all help in the days ahead.. This is heartbreaking news. My sincerest condolences to all who loved this young man and prayers for his family. May his memory, bright smile and light bring you comfort. I am a childhood friend of Joel’s. I am deeply saddened by the sudden loss of your beloved son Corey and I am also greatly moved by the outpouring of love and affection that has been shown to your family. Corey was obviously a very wonderful and special kid…and you have raised a terrific, loving family. I am so sorry for your loss. I can’t imagine what you all must be going through. You will be in my thoughts and prayers. We are so, so sorry to hear about Corey. Please know that our hearts are with you in this most difficult time.